British citizens travelling to foreign hotspots could face up to 10 years in prison under controversial new laws. The Counter-Terrorism and Border Security Act 2019 comes into force on 19 April 2019 and creates a criminal offence of entering or remaining in a “designated area” overseas. Ministers unveiled the measure last year as part of efforts to boost authorities’ ability to tackle the threat from so-called foreign fighters. The act allows the home secretary to designate an area, subject to parliamentary approval. 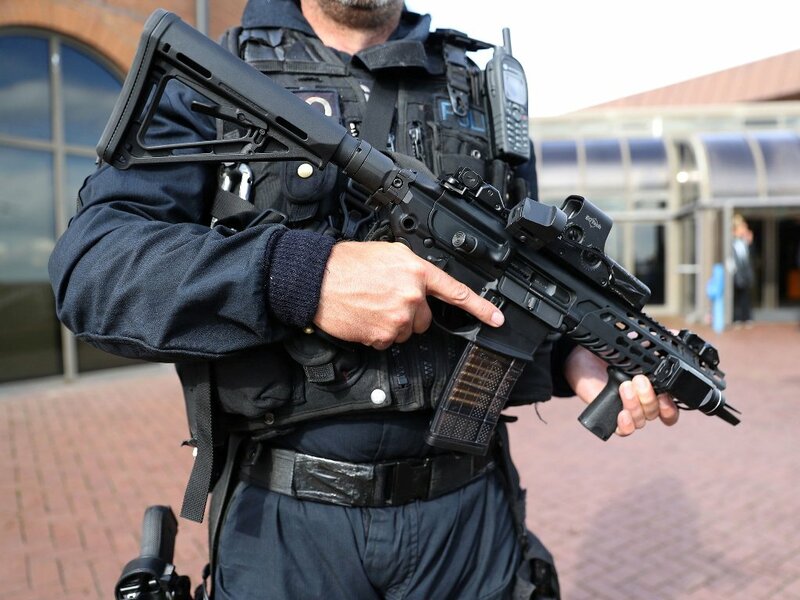 The act also gives border guards the power to stop and search individuals without suspicion on the grounds of tackling “hostile state” activity, and criminalises the viewing of terrorist-linked material online. A joint statement from nine organisations including Index on Censorship and Reporters Without Borders last year warned the “vaguely defined” crime of hostile state activity would give border guards wide-ranging powers to stop, search and detain. The signatories said a journalist taking a domestic flight could be stopped without any suspicion of wrongdoing and it would be an offence for the journalist not to answer questions or hand over materials, with no protection for confidential sources. It seems many in the West have turned to fishing conditions where you stop as many people, you’re sure to find a terrorist. The success rate has been less then 10%, but this development shows when it comes to security Western values can be abandoned at a moment’s notice. On 11 April, following six days of protests, a cabal of military officers, security chiefs and paramilitary commanders overthrew Omar al-Bashir in Sudan. They were the president’s most senior lieutenants and their intent was to keep the existing system intact along with the power and privilege they enjoy. But the Coup had neither a single leader nor a clear plan of action. Even while the army was promising a statement, the army chiefs of staff, the head of the influential National Intelligence and Security Service (NISS), and paramilitary commanders were still negotiating. After several hours of delay, they put forward Vice-President Awad Ibn Auf as their spokesperson who said little and who resigned after 30 hours in his new job. The second announcement didn’t come until well into the second day of the coup and was barely coherent, promising that the army would sponsor dialogue, and Bashir would be brought to court in Sudan. After both these statements, protesters vowed to continue their protests against what they decry as a stolen revolution. The army is struggling to maintain its position and maintain the system after the masses refuse to accept the Egypt model in Sudan. Protesters are demanding a complete clean out of the old guard. It would seem lessons have been learnt from the original Arab Spring back in 2011. The Trade war between the US-China is heated up as the Chinese ambassador to Chile called US Secretary of State Mike Pompeo “a hypocrite” after he tried to persuade the South American nation from dealing with Beijing, as the US and China remain locked in a trade war. “Pompeo has lost his mind and gone too far,” Beijing’s envoy to Chile, Xu Bu, said, slamming the attacks against Chinese economic activities in South American region as “malicious” and “absurd.” Mike Pompeo earlier called Chinese investment projects in the South America “debt deal traps” during a visit to Santiago. Beijing “often injects corrosive capital into the economic bloodstream, giving life to corruption, and eroding good governance,” he said. The US and China have been locked in a trade war since President Donald Trump slapped import tariffs on Chinese goods. In retaliation, Beijing did the same with a number of US-made products. Relations between the two nations were further strained as senior US officials accused Beijing of potentially using telecom giant Huawei to spy on Western states and ordinary citizens. Mike Pompeo has attempted to discourage American allies in Europe from using Huawei equipment, warning that reliance on Chinese technology will hamper their cooperation with Washington. The battle for the 21st century has just begun.